Centigrade has proven track record in providing high-quality customised cost-effective mechanical contracting project management solutions. We have over four decades of demonstrated experience supporting Western Australian clients; including commercial, industrial, retail, educational, and health sectors. Centigrade design, supply, install, and service systems for all types of applications while providing every client with a timely, professional and cost-effective solution. Our professional services are always completed on time and within client approved budget guideline. One of the services provided by Centigrade is a fully functioning in-house CAD facility with the latest Revit Modelling industry standard design software. This enables us to provide customised, flexible solutions based on industry requirements. 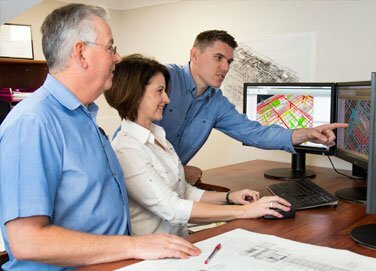 At Centigrade, we understand that every project is unique, which enables us to provide tailored and flexible solutions to meet the needs of our clients. A dedicated Project Manager is assigned to every Centigrade project to resolve and manage related issues. The Project Manager has the responsibility and authority to make decisions on issues that affect project outcomes. Each Centigrade project has customised delivery strategy developed in conjunction with the client and Account Manager. Key issues that effect the project are addressed a formal management plan is implemented to ensure a successful outcome. We understand that our clients’ needs and priorities may change. That’s why we work closely with our clients to determine their needs and accommodate changes if and when required. Centigrade is accredited to ISO 9001 to help enhance reliability for information prepared for our clients. We also employ a full-time Quality Manager who prepares and administers our Project Quality Plans, together with Inspection and Test Plans (ITPs), as required. The role is one of counselor, inspector, and advisor to all our staff, vendors and sub-contractors to ensure each part of our team is aware of and can fulfill, the expectations of our clients.